William H. Medley was among the first wave of patrolmen to arrive at #92 on the day of the murders. He heard Lizzie’s tale of being out in the hayloft for a long interval and went out himself to check out her story. Officer Medley’s attention to detail and powers of observation took him far. He became assistant City Marshal in 1910 and replaced City Marshal Fleet (also present at the Borden’s on August 4, 1892)when he retired in 1910. 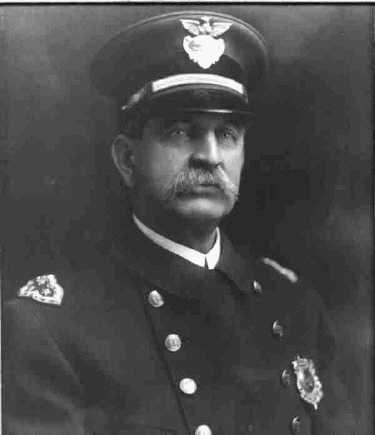 The title changed to Chief of Police in 1915 and Chief Medley held the title until his tragic death in 1917 as a result of a car collision at the corner of Locust and Linden Streets where Chief Medley sustained fatal injuries. His wife and daughter were in the car but survived the collision. 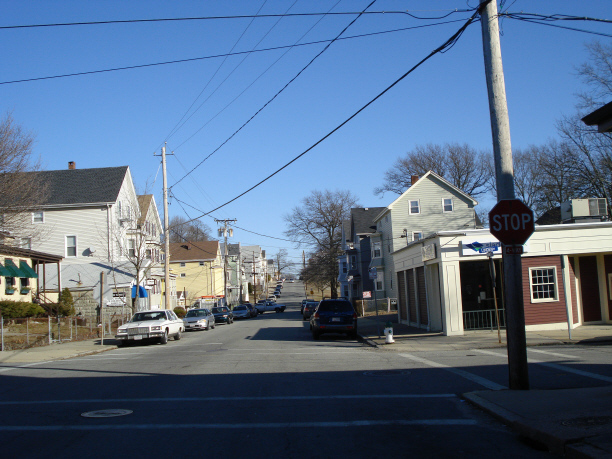 Chief Medley was buried in Lowell, Massachusetts. Below: The scene of the accident as it is today, Linden and Locust intersection.